Before going on a Disney Cruise, one of my favorite things to do is to watch long tour videos of the cruise ships! It’s a fun way to feel like you’re already on vacation before you get there! I decided on my recent vacation on the Disney Wonder, that it would be fun to give a tour of what the ship has to offer! In my video, you can see the longer tour of the ship, with a more concise written list below. Happy travel planning and Disney Cruise dreaming! Triton’s: This is in the atrium when you first enter, and looks the most like a traditional cruise dining room. It has subtle art deco Little Mermaid themed touches to the restaurant. Animator’s Palate: This Animator’s Palate is black and white, and has paintings on the wall. The art on the walls start out as sketches, and throughout your meal start to evolve into full, colorful animations! At the end of the night, Mickey comes out in his sorcerer outfit for a wonderful show! Tiana’s Place: This is dinner, a show, and a character meet-and-greet all in one! Tiana and Louis come around to your table to do meet-and-greets, while there is a live jazz band performing during your meal. At the end of the night, there’s a mardis gras celebration! On the ship, there’s the Oceaneers Lab, which has lots of arts, crafts, science experiments, and video games for kids. Use a secret pathway, and you end up in the Oceaneers Club, which has a Toy Story playground area, Disney Jr. craft area, Frozen game area, and Marvel area. Often times characters stop by to say hi! There is also the Small World Nursery for those under three and who aren’t potty trained. You do need reservations for the Small World Nursery, and it is $8/hour. There’s all the bars and clubs in After Hours, which are open all day, but are especially in party mode in the evening time! Golden Mickeys: This show is always the first night, and is a fun Disney movie review show! Disney Dreams: This show has been a part of the line-up since Disney Wonder first set sail! Frozen: This show was absolutely breathtaking! An absolute must-see. In my opinion it’s the best show I’ve ever seen on Disney Cruise! On the Disney Wonder, there are two big celebrations! There’s the Sail Away Celebration, where you countdown with Mickey & Friends when you leave land and set out to sea! When you go up to the deck, there’s dancing, specialty drinks, and the vibe is filled with excitement! It’s definitely something you don’t want to miss – it’s the perfect way to commemorate the beginning of your trip! Also on the cruise, is the signature Pirates in the Caribbean deck party! It happens at night around 9:45pm, and has a show with Mickey & Friends along with Captain Hook & Smee, that ends in a fireworks show at sea! And of course there are many other (nearly countless) things to do and see on Disney Wonder. Some of my favorites were Senses Spa, the fitness center which overlooks the ocean, Cove Bar (a gourmet coffee bar in the adults-only area), and the movie theater playing first-run Disney movies! 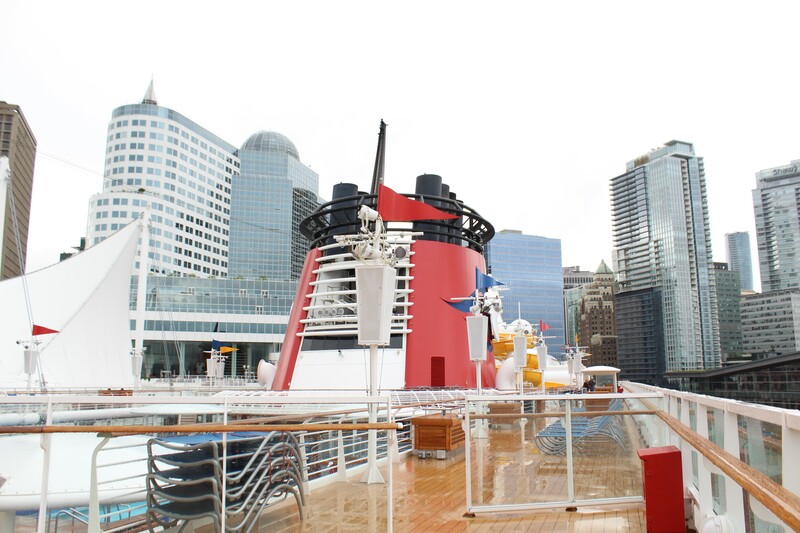 What is your favorite thing to do on Disney Wonder? I’m Headed to the Red Carpet Premiere of Disney’s The Nutcracker and the Four Realms!